Big thanks to Chris Kresser, Ray Peat, Dr. Mercola, Weston A. Price and Chris Masterjohn to name a few for all of their research and information they have educated us with. I read, listen and take notes; this is my short, short version on the latest and greatest regarding cholesterol and heart disease – the biggest killer around the globe, still. Important note: understanding and utilizing this information is highly dependent on your belief that saturated fats are healthy and that unsaturated fats are creating a lot of our current diseases. Read here, here, here, here, here, here, here, here & here if you would like to get current on this concept. For those of you with high cholesterol and on medication, or thinking about taking medication for it, this information may change your life. Not only do statin drugs not help you, they hurt you! Read about that here and here. Let’s just get right down to it: most doctors these days don’t know a damn thing about cholesterol, period. If they did, they would never put you on drugs without first testing for the causes of your high cholesterol. Did you know that cholesterol acts as an antioxidant and helps fight inflammation and infectious disease in your body? See here, here and here for more info. So WHAT CAUSES HIGH CHOLESTEROL? Or another way to put it – WHAT DOES HIGH CHOLESTEROL POINT TO? Here are Chris Kresser’s top 6 influences (from his 2012 Paleo Summit talk with Sean Croxton). This is a bit different than most of us are told; which is that “cholesterol clogs your arteries and is one of the main causes of heart disease”. 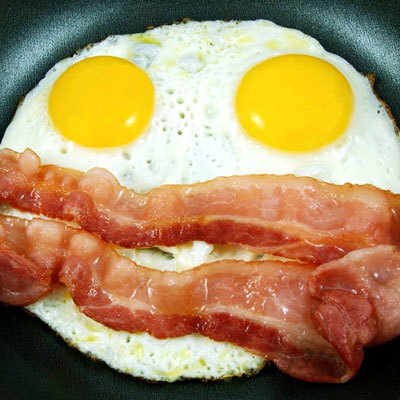 This old hypothesis is so full of holes and misinterpreted data that it is shameful to even call it science or research (kind of like the China study- hmmm, we sure are quick to believe whatever is posted in the main media…) yet we all believed it for years, wait, decades, and stopped eating eggs, red meat and saturated fat because of it. Look where that got us. Heart disease is still the number one killer in the world and showing no signs of improving. Thankfully there are some AMAZINGLY smart people out there in search of the truth, and they have a different hypothesis, which says that it’s not the cholesterol that’s the problem (especially not from our food), but what happens to the cholesterol and other lipids that is the problem. In other words, cholesterol is only a problem when it oxidizes and degenerates, which then causes it to infiltrate into the arterial wall and create problems in the heart. SO HOW DOES CHOLESTEROL OXIDIZE & WHAT IS OXIDATION? Go here for the skinny on oxidation. Cholesterol that is attached to LDL (don’t worry if you don’t know what an LDL is; it’s not important for getting the idea here) is prone to oxidation because the LDL membrane contains PUFAs (polyunsaturated fats) which are extremely vulnerable to degeneration and oxidation. This doesn’t mean that LDL cholesterol is bad but it does mean that it can be bad if it gets a chance to oxidize. BTW, antioxidants prevent oxidation, while PUFAs promote oxidation; oxidation is BAD and thought to be a main cause of aging “symptoms” and disease. So how can you protect your cholesterol from oxidizing?? In his Paleo Summit talk, Chris Kresser pointed out 4 main influences that affect the chances of your cholesterol oxidizing, and therefore increase your chances of heart disease and premature death. 1) PUFAs and omega 6 & 3 oils. These are fragile and prone to oxidation; therefore, by eating too much of them, your blood will contain enough free radicals, inflammation and other reactionary symptoms from oxidation to continually perpetuate more and more oxidation of lipids, cholesterol and everything else that can oxidize in the blood. Solution = eat less PUFAs and eat more saturated fats – all natural of course. The H2 Nutrition Program will help you choose foods that naturally balance these ratios and keep the blood healthy. Read more here for specifics on how to balance your fats. Unfortunately, you have been told to eat PUFAs on a regular basis and probably do; like vegetable oils, avocados, beans, nuts and seeds to name a few. So changing your perception and then diet is going to take some time and effort. Don’t worry, they are not all bad as long as you balance your ratios of fats. The veggie oils on the other hand, well, they are bad. The main problem is that most restaurants and processed foods use these oils because they are cheap, so it is up to you to learn which foods are ideal, and which are not. Go to the H2 Nutrition Program to get a quick and easy look at how to balance your foods and cholesterol levels. 2) Antioxidant levels. The present state of your own health and amount of antioxidants in your blood determines how much protection your cholesterol (LDL) has from oxidizing. If you don’t eat many foods rich in antioxidants, plus you eat a lot of PUFAs and unhealthy foods, your chances of oxidation are very high. Solution = eat your antioxidants and skip the PUFAs often. 3) Oxidative risk factors. 1. Toxins 2. Inflammation 3. Infections 4. Chronic stress 5. Sedentary lifestyle. Manage these and you will be on your way to optimum health. Solution = rid yourself of toxins, eat and cook naturally, manage your stress and exercise regularly. The best way to rid yourself of toxins is to support your body’s ability to cleanse itself; you can learn more about this process in my cleansing book. 4) Amount of time that LDL is in the blood. Certain factors mentioned above (poor diet, inflammation, etc.) can lead to poor LDL receptor function, which means that the LDL and cholesterol are out in the blood stream for longer periods of time and therefore exposed to increased oxidative stress factors. Solution = follow guidelines for #s 1-3. As mentioned by Chris Kresser in his Paleo Summit talk. Knowing your LDL particle size is an unreliable prediction of anything because the methods used to measure its size are extremely inaccurate. There are natural HUGE VARIATIONS with cholesterol numbers in the blood on a weekly basis for no apparent reason: as much as 35 each way, so 70 possible difference! This means that you need multiple tests (more than two) over a period of time to assure a true reading of your cholesterol. Similar variations are true with LDL, HDL and triglycerides. Mainstream medicine (i.e. pharmaceutical companies) has changed the standards recently to make you believe that your cholesterol should be under 200. It is considered mildly high at anything above that and therefore often requires statin drugs to lower it. Many holistic practitioners don’t consider cholesterol high until it reaches 250. You want to investigate those top 6 factors mentioned at the beginning. Here are some ways to do that, as recommended by Chris Kresser. 1) Screen for infections, inflammation, micronutrient deficiencies, etc. Follow the H2 Nutrition Program and you will NATURALLY lower your cholesterol and improve your health. Good luck with your journey towards optimum health! Please feel free to contact me for direction.